GREAT QUOTES AND USEFUL STATS FROM NEW BOOK OUT NOW: The Future of Almost Everything is the Patrick Dixon's 16th book, published by Profile Books. Take hold of your future or the future will take hold of you. Read FREE SAMPLE of the book. "Insightful views about the global trends that could shape our future. A thought-provoking tome which should help businesses think differently about the markets of the future." Linda Yueh, Adjunct Professor of Economics at London Business School, Visiting Professor of Economics at Peking University. The Future of Almost Everything describes hundreds of key trends which will impact your business and personal life, and explains what it all means for our wider world. Practical insights for leaders and decision-makers in every industry, for government, non-profit organisations. Order The Future of Almost Everything from Amazon. Read FREE SAMPLE of the book. Unless something changes over 200 million men, women and children will die of AIDS. The epidemic is spreading faster than ever in the poorest n ations, killing four times as many people every week as a decade ago.How can churches and Christian individuals save lives and care for those affected? What should we teach about condoms? 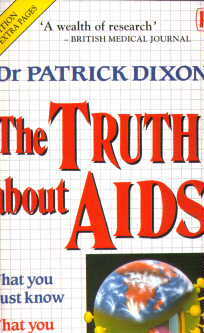 Aids and You - free online book by Dr Patrick Dixon, published by Kingsway 1989, 1990, 2002, 2004 with completely new edition "AIDS Action" published 2010. Patrick Dixon's latest book is The Future of Almost Everything - published in Autumn 2015 by profile Books. He has written 16 books, including SustainAgility - about the $40 trillion green tech revolution and how profitable innovation will help protect our world. See SustainAgility videos and reviews Futurewise and Building a Better Business, with 620,000 books printed in 35 languages (English, French, German, Greek, Polish, Arabic, Chinese, Korean, Turkish, Thai, Portugese, Estonian, Latvian, Russian, Czech, Hausa, Nepalese, Paite, Hindi, Urdu, Hungarian, Luganda, Nepalese, Telegu, Amharic, Xhosa and Swahili), plus a million free chapters downloaded in just 15 months. Each book is packed with original research, practical insights and industry / organisational experience. Dr Dixon is often described in the world's media as Europe's leading Futurist, and has been ranked as one of the world's 20 most influential business thinkers - Thinkers 50 global survey 2005. The Challenge is described in a new book "Building a Better Business" by Patrick Dixon: “One of the most stimulating and challenging reads in this field for a very long time” Sir Digby Jones, Director General, Confederation of British Industry. “A really helpful guide to success.” Brent Hoberman , co-founder and CEO lastminute.com. 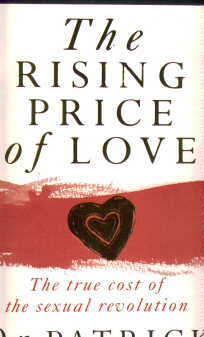 * 50% of the author's receipts from sale of this book will be used to support AIDS care and prevention programmes in Africa and Asia. (NOTE: THIS CHALLENGE IS NOW CLOSED - after a decade of trying by many people at online and at conferences, the challenge remained unbroken! A gift of $20,000 has been made by the author to the charity ACET - AIDS Care Education and Training). History of world revival and analysis of the so-called Toronto blessing. 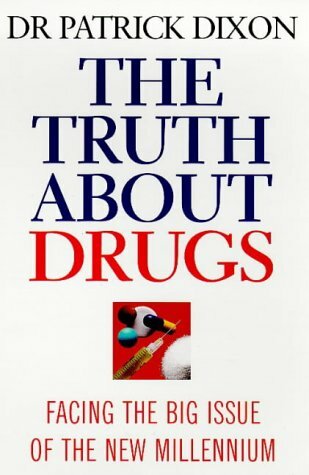 Entire text of book online.